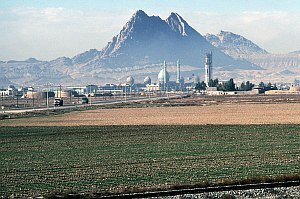 Qom or Ghom, the holiest city of Iran. 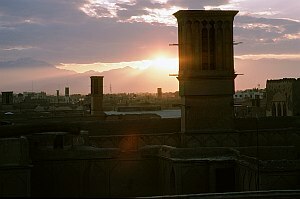 The most important religious buildings, however, are accessible for Muslims only. 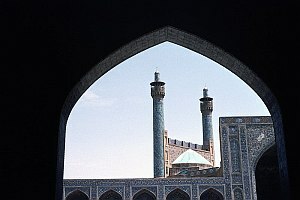 The magnificent Masjed-e Eman mosque in Esfahan (Isfahan), build in the 17th century. 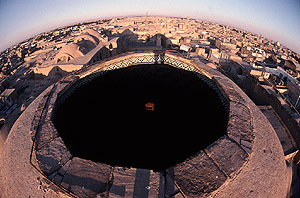 The covered bazaar of Kashan. 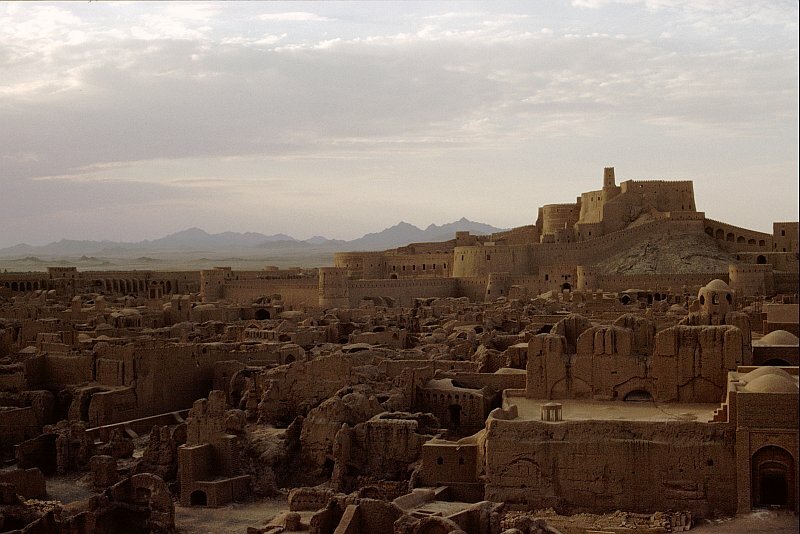 The desert city Yazd, with its typical wind towers or Badgirs. 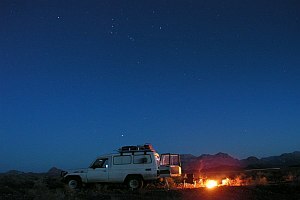 Camping next to the Choqa Zanbil pyramid, with Orion dominating the winter sky. 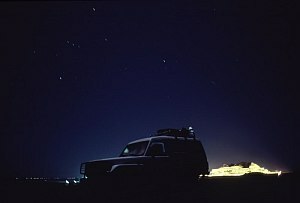 Ghara Kelisa, i.e. 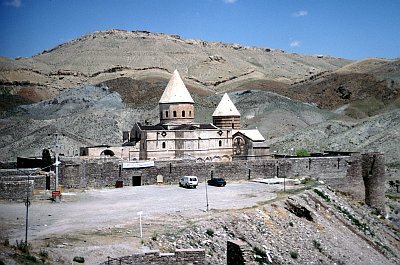 the Church of St. Thaddaeus, probably founded in the 10th century. Most of the building, however, dates from the 14th century. 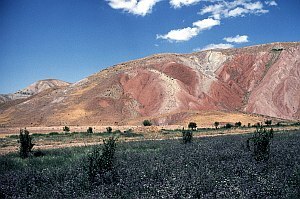 The colourful area between Tabriz and the Caspian Sea. 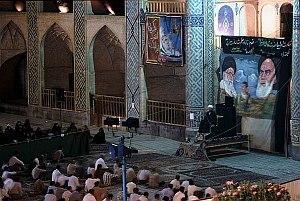 A ceremony at the Amir Chakmagh mosque, Yazd. 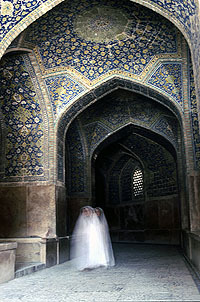 A lady returns from a prayer in the Masjed-e Eman mosque in Esfahan. 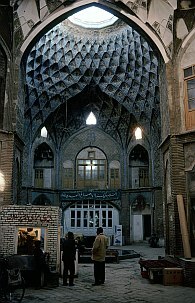 A teahouse in the covered bazaar of Kashan. 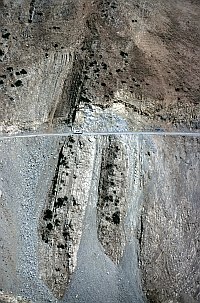 Driving through the Alborz Mountains, south of the Caspian Sea. 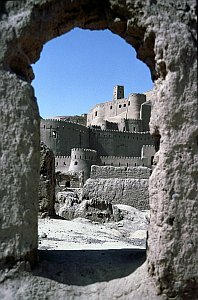 A view at the Citadel of Bam - a view of the past. 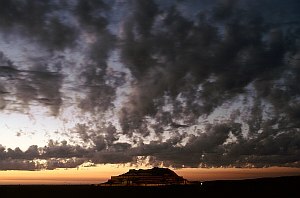 The Citadel of Bam, as it used to be.